Now And Zin is pleased to announce a new series of wine articles in conjunction with TrailersFromHell.com. The series is called “Blood Of The Vines,” and each Thursday on the Trailers From Hell blog, From Hell It Came, and the Now And Zin Wine Blog, Randy Fuller presents a wine and movie pairing - in tongue-in-cheek fashion. In case you don’t know about Trailers From Hell, it’s the brainchild of film director Joe Dante. On the site, Joe and other movie “gurus” screen movie trailers and add some personal comments about the films in question. It’s highly entertaining, and highly addictive. Browse the library of titles and see for yourself - betcha can’t watch just one! Many of the movie gurus are wine lovers as well as film lovers, so this pairing of two different parts of the blogosphere came easily. We hope you find the pairings entertaining, too. Trailers From Hell began as a haven for horror movie fans, hence the hellish blood references and preponderance of horror movie titles in the trailer library. Over time, the site has broadened to include other types of Hollywood offerings besides the horror genre. It is there, though - in monsters and mayhem - where the roots of Trailers From Hell remain. 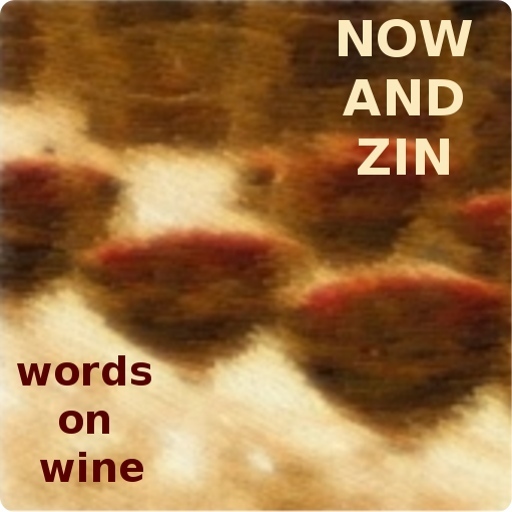 Now And Zin has dabbled in mixing wine and movies before - “never mix, never worry” - and we’re starting to get a taste for it. We’d love for you to check out “Blood Of The Vines” on the Now And Zin Wine Blog or the Trailers From Hell blog, From Hell It Came, as wine goes to the movies.